The day all new-gen consoles players have been waiting for is here, and by now most of you are probably already busy playing the game. 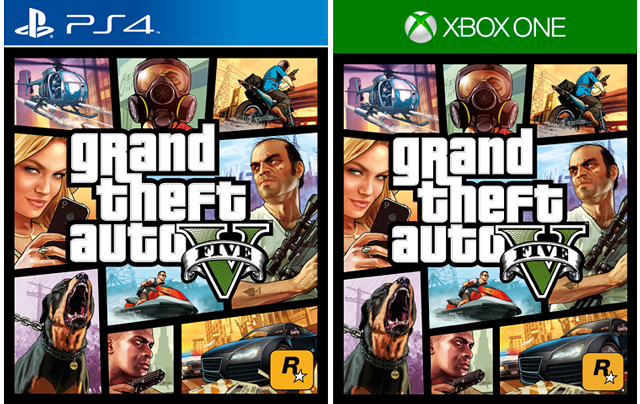 GTA V is now officially out for the PS4 and Xbox One consoles. If you still haven't decided if you want to upgrade, or aren't sure why you should, check out the following links for more information. 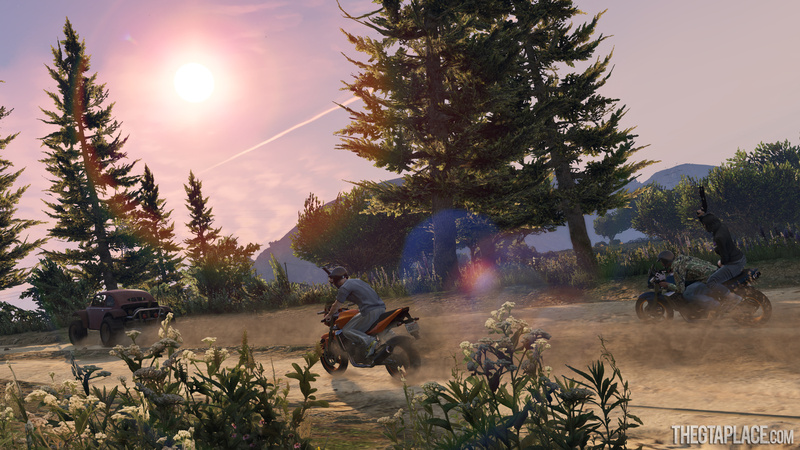 Rockstar have kindly sent us and some other fansites exclusive screenshots from the new-gen GTAV. Here's what The GTA Place received. GTA V is just a week away for all PS4 and Xbox One owners! IGN have finished up their previews of new-gen GTAV for PS4 and Xbox One with an article about how GTA Online is changing. But first, in case you missed it yesterday, IGN showed a video comparing the PS3 and PS4 versions of the game. The accompanying article goes into detail about how great the "whole new experience" is, it's worth a read if you're looking forward to upgrading. Today's article however, focuses on the GTA Online portion of the game, with the main change being the increase to allow 30-player maps. They are madness. "30-player activities � whether played in first-person or third � add an incalculable amount of mayhem to the game that�s already the current heavyweight championship belt holder for most manic multiplayer game out there. You may want to start a recruiting drive to build out your Crew sooner rather than later." To top it all off, Rockstar have uploaded 79 brand new screenshots, all in 1080p, showing off the new-gen GTA V. There's far too many to include in this news update, so we'll just direct you over to our dedicated PS4 / Xbox One GTA V screenshots page where you'll find all of them, there's a small taster below. Many of you are waiting for the PC version, according to Rockstar screenshots of that will be "coming soon". Today we can bring you new details and trailer for the new-gen GTA V coming to PS4 and Xbox One in just two weeks. Both IGN and C&VG have published their hands-on previews of the updated game, and it sounds like all the improvements are worth it for those of you who are considering upgrading (and yes, the PC version will also include all these features, but you'll have to wait until early 2015 for that). First up, let's have a look at the new trailer. First-person mode has been a popular feature request in the series since the says of GTA III, but I have to admit I personally never felt much desire for it - at least until I watched this trailer. It looks stunning. If you want to read more about what else is new, check out both�IGN�and C&VG for their perspectives. Rockstar themselves picked out a choice quote from IGN, who by the way, will be publishing two more exclusive articles later in the week. There�s so much new about this version Grand Theft Auto V, but it�s obvious Rockstar was keen to deliver something above and beyond a technical upgrade � it�s given players an entirely new way of playing the game. From shooters to action games, we�re all used to adopting the first-person, but the way in which this new perspective transforms the GTA 5 experience can�t be understated; it fundamentally alters how you inhabit and interact with this world. It rewrites the experience. Also, there's confirmation from Rockstar that the PC version will indeed run at 4K resolution, while the PS4 and Xbox One will both run in 1080p at 30FPS (hopefully stable). So those of you lucky enough to own awesome high-spec PC's and monitors will enjoy a truly stunning experience when playing the game.